As if he were expecting someone, Oscar the hawk peers down with the gravitas of a sentinel at a slowly approaching Subaru on a recent Wednesday morning. 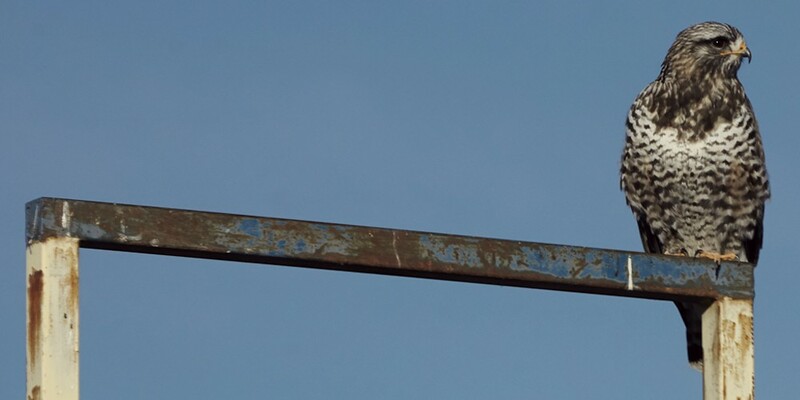 His talons are clutching the highest crossbar of a worn—but functional—cattle chute at least 12 feet above the ground. From that vantage, Oscar scans the expanse before him for voles. That's what Gillmor Sanctuary manager Ella Sorensen suspects anyway. Before the bird comes into full view, Sorensen and her fellow National Audubon Society member Heidi Hoven know where he's perched. "He waits there every day to welcome us," Sorensen says, personifying the raptor because it's almost impossible not to as he sits prominently and purposefully. "And often is there to say goodbye [when we leave]." Oscar is a hawk, the rough-legged variety, a species that nests in the arctic but winters south. This particular bird, evidently, has taken a liking to an area between Salt Lake City and the Great Salt Lake shoreline. And this season, he's become a reliably predictable fixture, enough so that he's earned himself a name. As if she can commune with animals, Sorensen informs the "semi-tame" Oscar that the car full of people means no harm. "Don't get scared," she says from inside the vehicle. With his sharp, hooked beak, he looks Hitchcockian—like he could, if inclined, peck one to shreds without provocation. He's beautiful. Hoven steps out of the vehicle to open a gate near the sanctuary, and Oscar spreads his wings the full 4-feet-or-so span revealing a dappled undercarriage. He then glides to a bare tamarisk branch 100 yards away. The Gillmor Sanctuary is a 2,900-acre preserve managed by the National Audubon Society. It's just outside the city limits, but it's a prime example of the type of terrain conservationists are trying to preserve in the northwest quadrant. The area has become a development priority for the city and landowners. Soon enough, a state correctional facility will rise there, with other projects expected to follow. A dirt road leads out toward the sanctuary, flanked by low grasses and shrubby shade trees. "This view is going to disappear," Hoven says. Development proposals in the quadrant have been kicked around for decades, but the looming prison and talk of an inland port have recently filled those sails with forceful winds. The proposed port, especially, is projected to be a massive economic driver for the state and everyone with a stake in it is eager to see it through. On Feb. 6, House Speaker Greg Hughes sat in the hot seat with other lawmakers smiling up at the Salt Lake City Council, who smiled back. The smiles reinforced the synergic words they seemed intent on repeating and reminding one another of every few minutes: We all want to collaborate as we figure out how to develop a port. But behind the pleasantries is the blunt truth: The city doesn't want to lose land-use and taxing authority. From the state's perspective, it doesn't want the city to come knocking after stuff is built and then demand the state pay for road upkeep and a host of other infrastructure needs. Instead, Hughes argued, problems could be rectified early if the state was at the initial, decision-making table. 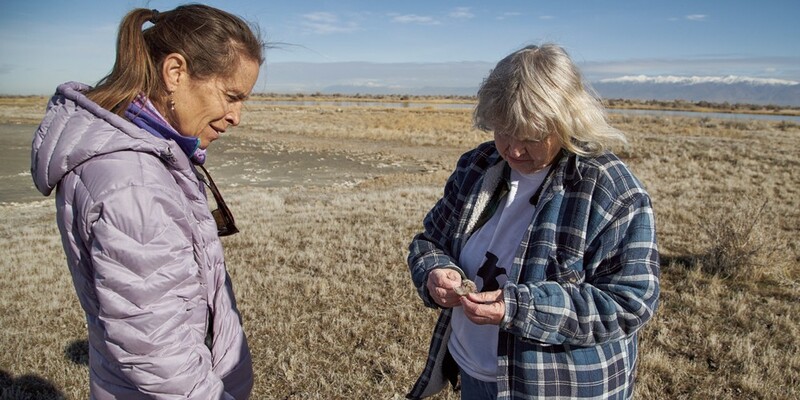 The biggest group impacted by changes to the land south of the Great Salt Lake might be those without a voice, like Oscar and the other thousands of birds who nest or migrate through there. Sorensen declined to wade into the politics of the northwest quadrant, but she says, in general, the gravest threat to shoreline birds is a loss of habitat. "It's horrible," she says. "The Great Salt Lake is dynamic so the lake comes up and the birds move up. I did a study in 1987 when the lake was up, and documented all the birds. As soon as the lake went out, people started filling everything in and developing it, closer and closer and closer and closer to the lake. They're losing habitat. "So we're giving them habitat—a natural habitat," she says, referring to the sanctuary. 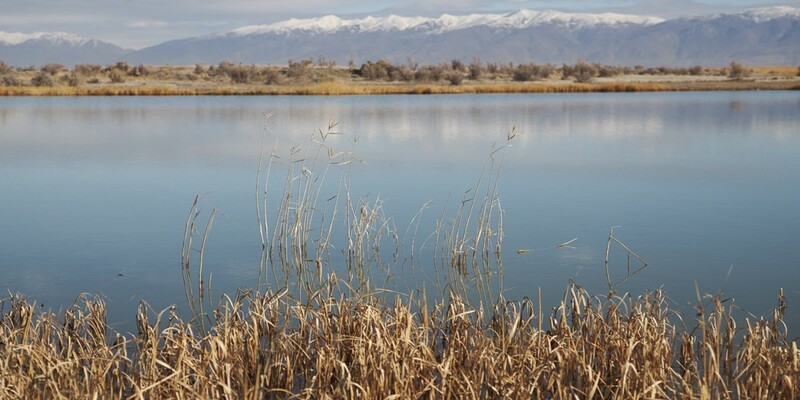 Perhaps no one knows the wetland between Interstate 80 and the Great Salt Lake as well as Sorensen, who has worked in conservation for decades. 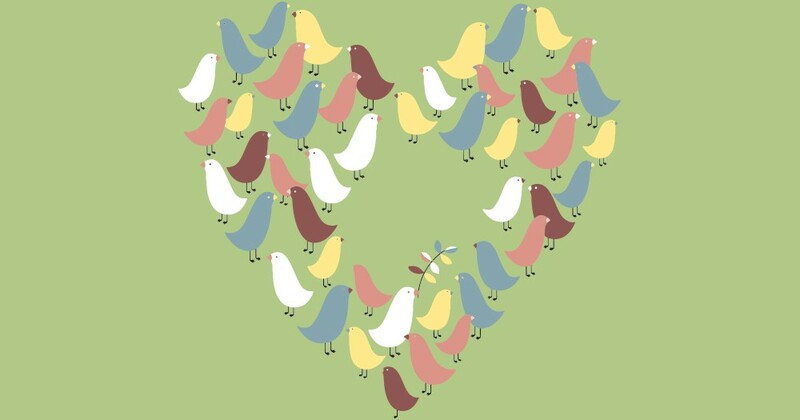 A chemist by schooling, Sorensen fell in love with bird-watching after she had children. "It became an obsession," she says. Her passion led to professional connections, and she was tasked to help revise the state bird list. Soon after, she landed a job with the environmental nonprofit. She and Hoven took City Weekly on a tour through Gillmor. This winter, Sorensen and Hoven conducted a quick bird count. "It took us 11 minutes because there weren't any birds," Sorensen says. The estimated number was around 450. In the spring and summer, however, more birds will flock to the shoreline. More than 40 species of bird have been documented at the Great Salt Lake, nine of which commonly nest in the region. On a high count, the number of individual birds at the sanctuary has reached 10,000. As development plans on the northwest quadrant advanced, the Salt Lake City Planning Committee agreed to a zoning plan that delineated developable land and natural space, and drew up a jagged buffer line between the two. Bird-friendly features also were recommended, such as windows made of glass designed with patterns that birds can see and avoid. The National Audubon Society authored a report for the Utah Division of Facilities Construction and Management, which is in charge of building the prison south of the area. It included requests for using bird-friendly design, such as downward-facing lighting. In his retirement, Wayne Martinson volunteers for the Great Salt Lake Audubon Society's conservation committee, but for a quarter century before that, he worked at the National Audubon Society where his focus was on the Great Salt Lake and the Gillmor Sanctuary. In his Audubon Society days, Martinson says he used to drive out to 7200 West, and as he reached the crest of the overpass, he'd look out to the expansive, untrammeled terrain. A couple years ago, though, Martinson decided it was time to retire. The prospect of buildings and roads replacing the unique natural beauty made the decision a little easier. "I didn't want to drive out there anymore and look at the land being developed. I didn't want to see that," he says. "But I also feel like we did the best that we could working with private landowners in developing a situation that's the best deal we could get for wildlife, and they can go forward with their development." Martinson is a realist, and with the state's growth forecasts being what they are, the best he can hope for is a strategic conservation component to any development plan. "It's not something that I'm for, but it's not something I'm in a position to say no to." At 8800 West, there is a dividing line, with development to the east and the Inland Sea Shorebird Reserve, a sanctuary managed by Rio Tinto Kennecott to the west. Continuing east, past the Goggin Drain, lies the Gillmor Sanctuary. Further to the northeast, about 15,000 acres are managed by 13 duck clubs all the way to the Farmington Bay Waterfowl Management Area. "What we have is this tremendous wetland area," he says. "It's all managed for wildlife—from the Lee Creek area to Farmington Bay Goose Creek Island on the shoreline, and that's a significant accomplishment, and that provides a great amount of habitat for birds and wildlife." The land that is developable is in the upland area where Martinson expects habitat loses. But if portions of the land are preserved and remain natural, birds will continue to migrate there. "In some ways, we've got this great swath of land. When you get to 8800 West, there aren't lights, there aren't cars, there isn't other stuff. Birds on their flyway will see some dark spaces. That's significant and it's valuable," he says. But if the state tries to run the show, some conservationists are concerned that the plans they've drafted with the city might get tossed out the window. Heidi Hoven lifts up a board to let water flow from one area of the Gilmore Sanctuary to another. Longtime activist Steve Erickson spends considerable time on the Hill during the legislative session, lobbying for environmental groups as well as a host of others, while priding himself on being one of the only lobbyists who refuses to wear a tie. Initially believing the state wouldn't pass any legislation this year related to proposed development on the northwest quadrant, Erickson and others were relieved. But rumors soon started swirling through the marble halls of the Capitol that lawmakers were considering drafting something. "We've kind of come to this compromise: Yes, there's going to be development. We want to keep it as bird-friendly as possible. Bird-friendly designs, less light pollution, all of that," he says. But those compromises were made at the city level. "The concern from the advocates is that the Legislature will preempt everything that's gone on and say, we don't want it that way, we want it this way, and impose their will," he says. The leadership hasn't indicated it would scrap the environmental concessions, but Erickson has worked in the Capitol arena long enough to know that bills get amended—and sometimes for the worse. Based on talks at city council this month, the prevailing plan is for the Legislature to pass a bill that would create a board to oversee the inland port. "We want that to be an open, transparent process, where if we're not at the table, at least we're in the room," he says. "We care about this being done properly so as to minimize the impacts. The governance, we probably won't have a whole lot of say in the structure of that authority, but we think that a collaborative approach is the way to go." Erickson says he's hopeful that the state doesn't bully municipal governments. "We would counsel legislators to go easy, go slow, let the process work the way it should work, which is in a collaborative fashion. Don't be preemptive in your moves here." And if the Legislature usurps the zoning agreements between the city and conservationists, the environmental community won't go away quietly. "I think that would be an egregious overreach—as they like to say up here," Erickson says, sitting on a bench in the Capitol's hallway. Fortunately for the birds, the lower wetlands don't lend themselves to development. But the interplay between the wetlands and the uplands is critical, says sanctuary manager Sorensen, and if all the uplands in the northwest quadrant are developed, that's also cause for concern. To her, overflow channel Goggin Drain is a line in the sand. If developers seek projects beyond it and toward the lake, Sorensen vows she'll be the first person on the phone giving them an earful. 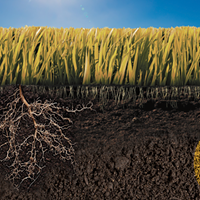 "We feel really strongly that that boundary—whoever takes it on—that natural boundary is intact," Sorensen says. "It's basically a boundary, a buffer, to protect the integrity of Bailey's Lake, but also the buffer is to protect 20,000 acres of wetlands that are devoted to wildlife from the development." Bailey's Lake is a dry ravine that at one point more than a decade ago was considered being filled as a freshwater pond, one that environmentalists feared would be disturbed with waverunners. Sorensen was in the middle of the bout, or as she puts it: "I didn't really have to fight it; I just had to tell people how stupid it was." Now, folks like Hoven eye Bailey's Lake as a potential conservation stronghold. "It has great restoration potential ... bringing back a habitat that would support lots of wildlife," she says. Ella Sorensen describes the unique sand found at the edge of the Great Salt Lake on a tour through the sanctuary. Other environmentalists, however, are less sanguine about the city planning proposal. Founder of the Great Salt Lake Keeper, Jeff Salt, has criticized fellow activists for capitulating to development plans, which sometimes puts him at odds with those who should be allies. "They don't set their sights high enough," he says of other conservation groups. "Birds and other wildlife and plants and water, those are all public trust resources and they're supposed to be managed on behalf of the public in perpetuity," he continues. "They're not supposed to be sold off or given away. They're supposed to be managed and protected." The conservation fight over the northwest quadrant first made a blip on Salt's radar more than 15 years ago when he learned about a proposal to install freeway billboards near the Great Saltair. He was disheartened by the thought that monolithic advertisements would mar the view and be deleterious to the migratory birds that swoop through the region. "Our primary concern was freeway billboards would impact the bird population and nesting," he says. "It would give a place for predator birds to roost and watch and prey upon the nesting birds." Soon enough, he was tipped off to a proposal to develop the northwest quadrant, a packed suburb of single-family dwellings. "We called a big summit meeting with the city, and we put the city on notice," he says. Although that residential development never came into fruition, Salt's concern for the region remained, and he wasn't happy when he learned about the latest plans. The largest problem he sees is the idea that the upland parts of the northwest quadrant are considered developable, while the lower wetlands are set aside for conservation. Categorizing the land in this fashion doesn't account for flooding, he says. Wetlands have adapted to occasional inundation and the Great Salt Lake is naturally dynamic. When it's high, the uplands will then serve as the shoreline. The map of the land is divided into two distinct sections: the uplands and playa wetlands. But sometimes the two are misunderstood to be mutually disjointed parts. The uplands are developable, and the playas, where the birds congregate, are not. Many say that's not quite true: The uplands and wetlands are interconnected. Birds visit the uplands for some forage and protective cover and to nest. But the uplands also collect and drain water important to the wetlands. "The entire area out there has to be considered holistically," Salt says. "The buffer is completely inadequate. It's so artificial; it's so contrived, and it does not take into account the interactions between upland and wetland that are necessary. "Bird-friendly windows are such a minor part of this. Some of these concessions that are being floated and discussed are minor compared to the fundamental flaws of the plan," he continues. In general, Salt is leery of mitigation plans. Although they often mandate a certain number of acres be preserved for every acre that is developed, the implementation is not to a standard conservationists like him find acceptable. "The real problem with mitigation is mitigation projects almost always fail," he says. "They are notorious in not succeeding in their goals to replace and sustain the habitat and the resources that they've impacted. Oftentimes, because they're not adequately designed or they don't have enough space or the resources to sustain those wetlands really aren't there. Many times, these mitigation wetlands have to be created from scratch." And local governments, he contends, don't have the scientific background to navigate the regulatory laws that are supposed to be enforced by agencies such as the Environmental Protection Agency, the Army Corps of Engineers and the U.S. Fish and Wildlife Service. The job of a sanctuary manager mandates opening and closing waterways, eliminating noxious weeds, surveying and monitoring the birds and reminding trespassers that they've crossed into private property. Development compounds the strain on an environment that is already being tested by a changing climate and other unknown factors. Headed toward the Great Salt Lake, Sorensen asks to kill the motor and points to a bevy of tundra swans. It's early in the season for them to be stopped here, she notes, but this year has been exceptionally warm and the ponds aren't frozen over. A considerable percentage of the region's population of swans migrate to the Great Salt Lake, and she's counted up to 4,000 at Gillmor alone in the past. "It looked like a solid lake made up of white swans," she says. In July 2009, the Gillmor Sanctuary's water-control system was completed. In the back of the conservationists' minds is the need to retain salt. 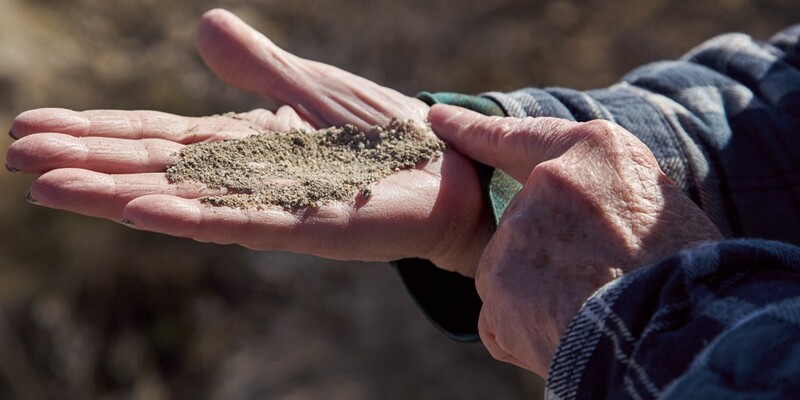 "Once you lose all your salt by putting water in and letting it flow through an area and carrying out all the salt, leaching it from the sediment, freshening it up, that's when you run into trouble with emerging vegetation coming in because there's nothing keeping it from growing anymore," Hoven says. "We need these salts to keep it looking like we have it now." Sorensen is a meticulous record-keeper, including bird counts and preparing annual vegetation maps to help understand the changing landscape. When you picture wetland habitat, you're probably conjuring up an image of a peaty pond, or emergent marsh with waterfowl floating among cattails and reeds. But the wetlands of the Great Salt Lake are of a different sort. For starters, mudflats—swaths of caky mud that remain after water levels have receded or seeped into the ground—are integral components. And unlike the long grasses one might expect, the natural vegetation here is short. Taller trees, such as the tamarisks, are invasive. One of the Audubon Society's ongoing tasks is to clear the encroaching vegetation by chainsawing it to a stump, and then painting a toxin on the remains that works its way to the roots without contaminating the surrounding soil. "We've had lots of progress opening up the landscape," Hoven says. Phragmites grow lengthy, golden stalks topped with tufts; they're also invasive. Along the tour, Hoven spots a nascent patch of phragmites and takes note that it needs to be removed, a laborious process that requires perennial treatment. Hoven and Sorensen want to preserve the wetlands near the northwest quadrant as development plans ramp up. Sorensen can recite the history of the land. She'll tell you, for example, where the Jordan River once fed into the Great Salt Lake thousands of years ago before a geologic phenomenon called isostatic rebound shifted the tributary east. She can also ballpark the age of the surrounding mountains; factoids she's gleaned from trusted scholars. She's picked up information about ancient people who populated the land hundreds of years before Brigham Young led pioneers into the Valley, remnants of their culture is preserved at precious cultural sites that she's reluctant to talk about in detail. And she knows about the Mormon settlers, too. In addition to being the second prophet of the Church of Jesus Christ of Latter-day Saints, Young was an industrious bull, who used to run cattle along the shores and all the way out to Antelope Island, when the waterline permitted. "The Great Salt Lake is dynamic so these habitats are moving around in different places every year. If the lake is down, they're in certain places than if the lake is up. And we as humans come in and we're just developing so the lake doesn't have that ability to create things like this," Sorensen says standing near the shore. The creation of the Gillmor Sanctuary was a long drawn-out ordeal that relied on deft negotiations over land acquisition—some of which is ongoing. A section of sanctuary land was donated by the Gillmors, ranchers who grazed cattle on the land for around a century. Part of the agreement allows for the family to continue running some cattle in the area. Change is the only constant thing, and progress (a word that has somehow become nearly synonymous with development) is inexorable, and that means that parcels of habitat are being wiped away. Almost nothing is as critical to a species as its habitat. That's why conservationists take stands that might otherwise seem foolhardy and obstinate. But it's also why groups like the Audubon Society want to ensure that when developers look over the landscape that will one day be sectioned with roads and buildings, they leave something for the animals. The Gillmor Sanctuary is closed to the public. Usually when people see it, they're accompanied by Sorensen. 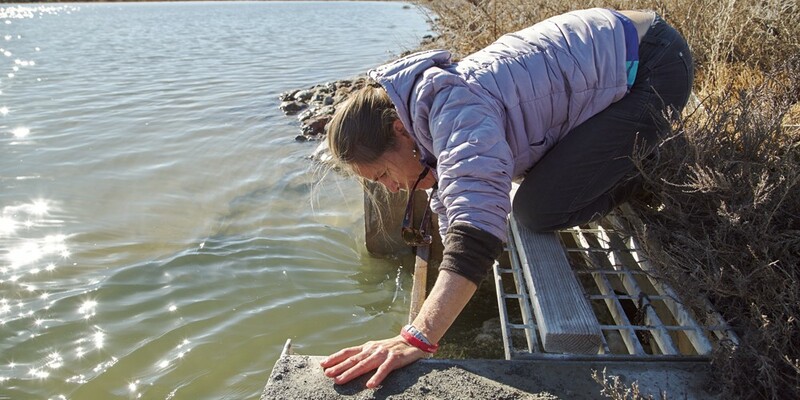 In a state like Utah, renowned for its slopes and red-rock desertscapes, the wetlands around Great Salt Lake are overlooked as areas of natural beauty, but Sorensen says she's seen the landscape move grown adults to tears. She recalls a tour of Gillmor years ago. The Great Salt Lake had risen and filled in river channels, then retreated. "The area was literally covered with birds," she says. "The sun was setting. There were all these ibis, shorebirds and [a visitor] sat there and just wept."